There's nothing like spending time in the great outdoors, and few experiences are better than sleeping under the stars. 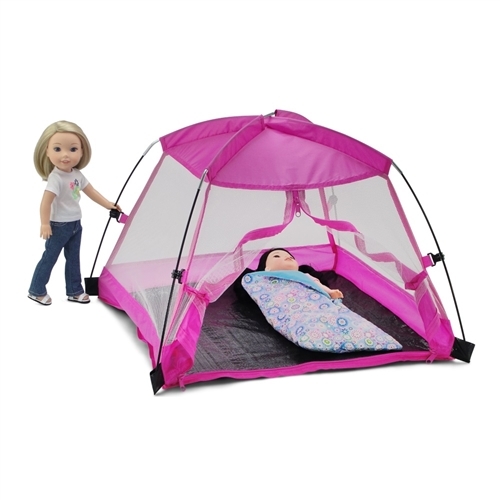 Whether you and your 14-inch doll do it deep in the woods or your own back yard, your doll will sleep in her very own tent! This amazing, bright-orchid pink, canopy tent is designed to easily assemble and house two dolls with their accessories. Inside the tent, your American Girl Wellie Wishers dolls can have endless fun laying out sleeping bags for an adventurous outdoor sleepover. See product INS5004 for sleeping bag product. 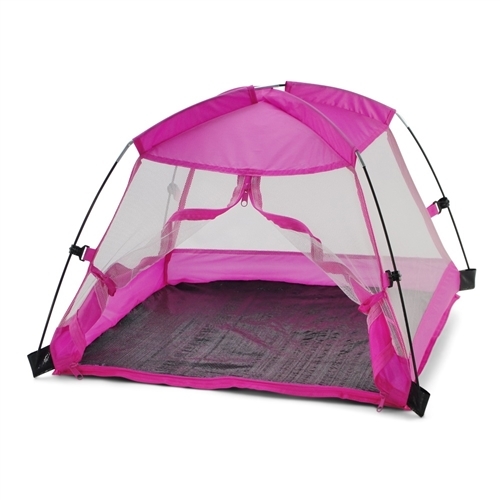 This camping tent is made from durable Nylon fabric with four mesh screen sides. 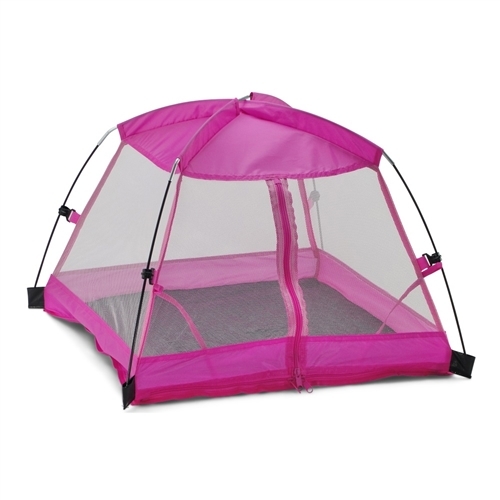 The front of the tent features a zippered opening that velcros to stay open just like a real tent. This must-have outdoor item comes with a matching storage bag/carrying case for easy transport. Awesome 14" doll pink nylon outdoor dining tent, easy to assemble and comes with a handy carry case to make travel a breeze! 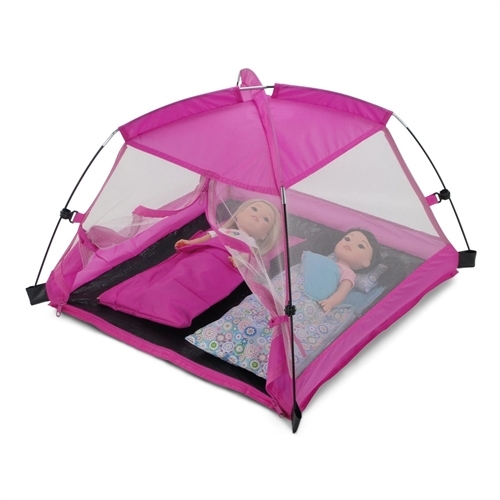 This doll camping tent has zippered front flap the rolls up and Velcro to hold it open, and mesh/screened sides just like a real outdoor dining tent! Tent measures 24" x 24" x 18". Doll furniture made to fit 14-inch dolls such as American Girl Wellie Wishers ®, Hearts for Hearts Girls, Glitter Girls, etc. Designed and manufactured by Emily Rose Doll Clothes™, this doll furniture is recommended for ages 5 and up and is safety tested and certified. Dolls and sleeping bags not included.